You’re Invited to the Omaha Steaks Twitter Party to Chat #StraightTalkonSteak, Plus a Giveaway! *This post is brought to you by Omaha Steaks. All opinions are my own. Are you as exhausted as I am hearing all the claims of what we should and shouldn’t eat? It seems to change weekly. I care greatly about my health as well as my family’s, and since I’m the one who prepares the meals, I make an effort to stay educated about healthy eating. But there are days I just want to throw my hands in the air and feed them all TV dinners for the week! Okay, maybe not TV dinners, but knowing what to feed my family can be downright frustrating at times. So what about meats? Should they be included in our diet? 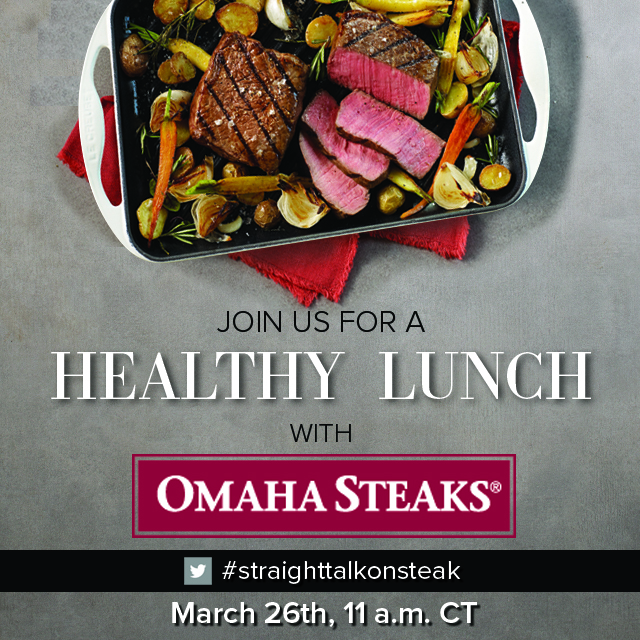 In recognition of National Nutrition Month, Omaha Steaks has launched #StraightTalkonSteak where they’ll share the good news about beef and nutrition facts we need to know. Should lean meat be apart of our healthy diet? According to American Heart Association, American Cancer Society and American Dietetic Association – the answer is YES. Omaha Steaks, the nation’s leading retailer of exceptional grain-fed beef and gourmet foods, wants to invite YOU to a Twitter party on Thursday, March 26 at Noon ET to discuss beef as an important part of a healthy diet. Join Omaha Steaks for a Healthy Lunch on Twitter @Omahasteaks #StraightTalkonSteak. One Twitter party participant will receive the Eating Well Combo from Omaha Steaks, which includes Top Sirloins, Classic Salmon Fillets, Ground Bison Burgers and Boneless Chicken Breasts. 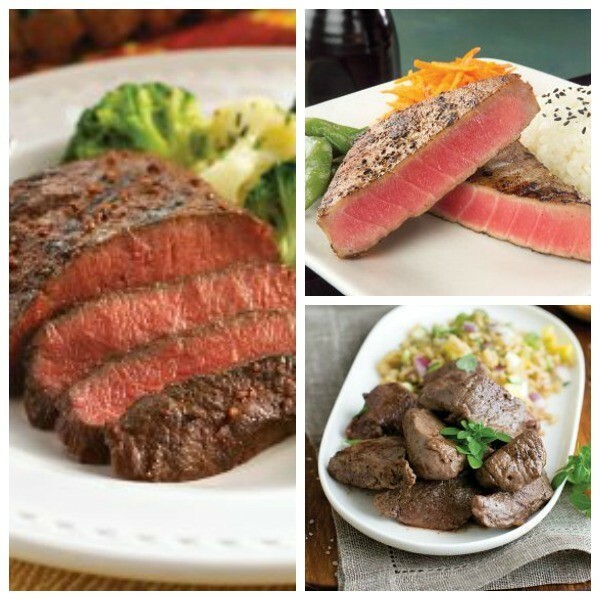 Omaha Steaks offers a wide selection of lean cuts, including Top Sirloins and Triple-Trimmed Filet Mignons. Other high protein/low calorie foods they offer are Yellowfin Tuna Steaks, Wild Salmon Fillets, Flat Iron Steak, Beef Sirloin Tips and Boneless/Skinless Chicken Breast. Where will you be Thursday, March 26th at noon ET? The Omaha Steaks Twitter Party! Don’t forget, one participant will receive a prize. Please enter via the Rafflecopter form below. I’ll see you there!